This guide offers kayakers and canoeists hundreds of miles of relaxing, scenic excursions in Long Island sound. Each launch site is described in detail: its address and location (as latitude and longitude) are given, plus driving directions, where to park, whether fees are charged, where to launch at the site and whether special precautions should be observed, and suggested routes to try once on the water. each trip has been tailored to avoid dangerous areas through which large vessels, powerboats and strong tides pass, to ensure maximum safety and paddling enjoyment. 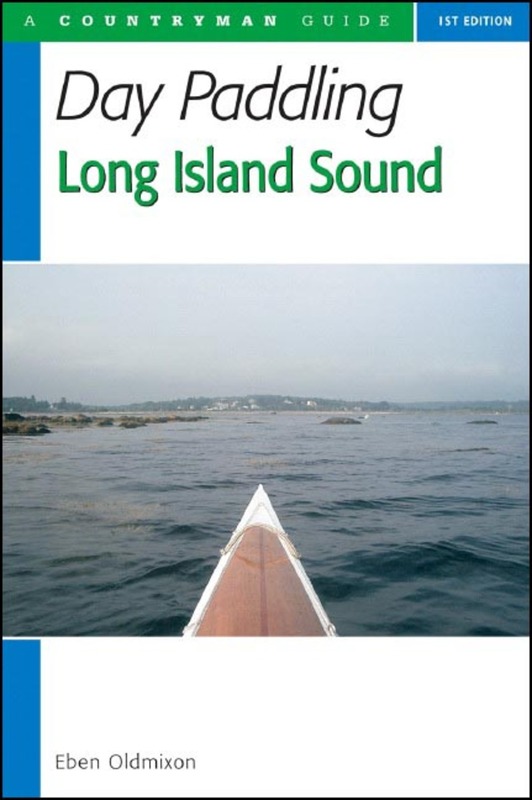 Eben Oldmixon is a retired biomedical researcher and also the author of Day Paddling Narragansett Bay and Day Paddling Long Island Sound. He resides in the Hudson River Valley near Newburgh, NY. Learn everything there is to know about building a wood fire. In step with this pastime's great resurgence on city rooftops as well as across rural America, this trusted guide will lead experienced beekeepers into new areas, answer questions, and help refine your skills. Great for beginners, too! Original short stories by best-selling mystery writers about their favorite pastime—fishing. Better Bass Fishing provides a look at the “big picture” of bass fishing. A fully illustrated, step-by-step guide to tying and fishing terrestrial imitations, from widely-known fly tying expert C. Boyd Pfeiffer. A lively and instructive guide to catching this popular game fish. Striped Bass Flies contains 80 terrific flies used by experienced bass fly-fishing guides from coast to coast. Utah is known for having "the greatest snow on earth," and this comprehensive guide provides all the details you need to make the most of your vacation. Everything you'll need to know to enjoy cross-country skiing in the Sierra Nevada. The definitive guide to fishing and exploring the coasts of the Baja California Peninsula. This book of spectacular full-color photographs of common eastern aquatic insects is a fly tyer's dream. The ultimate guidebook to catching bluefin, yellowfin, and blackfin tuna, in all the hottest fishing spots. The first illustrated, step-by-step guide to tying effective flies with synthetic materials, from fly-tying expert David Klausmeyer. A definitive reference work for cracking the code on fly fishing east of the Mississippi River. A step-by-step guide to tying simple flies quickly and easily, from a highly-regarded expert in the fly tying world. A complete guide to Arizona's trout waters, revised and updated. Veteran fly fisherman Bob Linsenman is your guide to the best steelhead fishing the Great Lakes have to offer. A unique and comprehensive guide to the sport of bouldering with 25 selected destinations across the US, from champion competition boulderer Alli Rainey Wendling. A complete species-by-species guide to the ultimate fishing destination. This modern, all-encompassing manual on the art of streamer fishing teaches new techniques for catching trophy-sized trout on a fly. This ultimate fly book from the editor of Fly Tyer magazine showcases the favorite flies of the nation's best fly fishing guides and shops. A how-to and where-to guide for catching fly fishing's toughest fish! A heavily illustrated guide to tying key fly patterns from a well respected tyer. This completely revised and updated edition of the complete angler's guide to the tailwater trout fisheries of the Southeastern United States takes anglers on a tour through nine states and 46 fisheries. This comprehensive manual introduces dozens of new fly tying techniques. It covers most areas of imitative fly tying, including nymphs, larvae, pupae, emerging flies, adult flies, and spent spinners. The ultimate guidebook to fishing one of the world's most beautiful backcountry spots. Inspired by the teachings of a master rodmaker, here is a step-by-stepguide to the craft of building handmade, heirloom-quality bamboofly-rods—the most coveted of all rods. The first and only book to reveal when, where, and how to catch the amazing false albacore. Oklahoma Sportfishing is the first and only fishing guide to some 51 lake, reservoir, and stream destinations in Oklahoma. The essence of trout fishing with a fly is understanding hatches. That quest for understanding has spawned an entire literature of fly fishing. Every once in a while a really new idea comes along in the world of tying trout flies. This new second edition features updated cycling tours ranging from the western mountains, to urban waterfronts, to Civil War battlefields. From the ocean to the giant oaks and mansions of Savannah, the Kahns guide cyclists of all ages and abilities to one of the best cycling venues in the country. Explores the different types of rock found at a dozen major climbing destinations across the United States, and discusses how these physical environments have affected the history, style, ethics, and culture of the sport. From the author/illustrator team that produced the bestselling Reading the Forested Landscape comes this fascinating and beautiful natural history of North America's granite summit balds. A beautifully illustrated history of one of North America's most enduring cultural symbols and recreational pastimes. The classic instructional text, used in flycasting schools around the world. The first and only guide to bicycling the national parks and adjacent wild lands of Arizona and New Mexico. The first and only guide to bicycling the national parks and wilderness areas of Oregon and Washington. This newly updated guide to mountain biking in the eastern half of Massachusetts features 25 destinations for enthusiasts of all abilities. The author of Pennsylvania Trout Streams has chronicled 44 new streams across Pennsylvania, New York, and New Jersey—all spots where you can still find quality angling without a crowd. Steelhead trout are among the world's most alluring game fish, and their adaptation to the Great Lakes Basin since their nineteenth century introduction is one of sport-fishing's great success stories. Whether you are looking for a quiet float along a rural stretch of flat water or an exciting paddle through Class IV rapids, this book will guide your way. "Peter Cammann has spent endless hours researching all of Vermont's waters. This book, chapter after chapter, proves it and presents many untapped fishing opportunities." —Jerry McKinnis, host and producer, "The Fishin' Hole"
An anecdotal account of the pleasures of fly fishing, discussing the choice and use of tackle, kinds of flies, walking in water, and watching for fish.